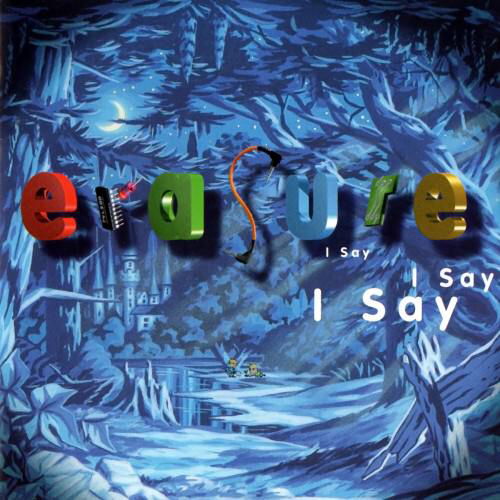 Over 9000 days since the release of my favourite Erasure album, with my favourite artwork, with my favourite song (Take Me Back). Agreed I Say is simply their best, with artwork and an attitude that is so warm and inviting - something I can't really say about any later album until Nightbird. It felt magical 9000 days ago and still feels that way now. Though I like the artwork for Erasure a bit more now than I originally did, the cold (portrait) cover didn't win many fans and the sterile computer generated covers of Cowboy and Loveboat have no personality at all. A memory I'll never forget: I was young and new to NYC but found out that a small import record shop would get in the "Always" single on the day of the release. I wasn't that familiar with the West Village yet, and this was before the internet, so with maps and several friends' advice, I figured out where the store was (it was called "Zapp Records!") and plotted my route and practically ran there after work!! I played this album Last week whilst walking to work,stunning after all this time it’s still a masterpiece. Glad to see another member of the Take Me Back Appreciation Fan Club!